Located at the Southeastern curve of Manhattan Island between the Manhattan and Williamsburg bridges, Corlears Park is a great place to get gorgeous views of the East River, the bridges and the Brooklyn Navy Yard. The spot was originally used by the Lenape Native Americans as a place to land their canoes due to its heavy marshland, and Dutch settles soon took over the area as a place to load and unload transport ships. In the 17th century the Dutch Corlear family owned a large portion of this piece of land, and it’s from this family that the park takes its name. Today the park is a haven for residents of the Lower East Side, offering a playground, dog run, baseball field, water fountain and a spray showers. The park is administered by the New York City Department of Parks and Recreation and is located at Jackson and Cherry Streets and the FDR Drive. Run by the New York City Department of Parks and Recreation, Hamilton Fish Park has served the neighborhood of the Lower East Side for generations. It is a great place for residents to come and swim in the Olympic-size pool, play basketball, and romp in the playground. A recreation center offers adults and children after school and after work classes in computers, exercise and much more. 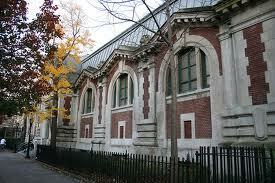 The park was established in 1900, and its gymnasium is one of New York’s most notable of small civic buildings. 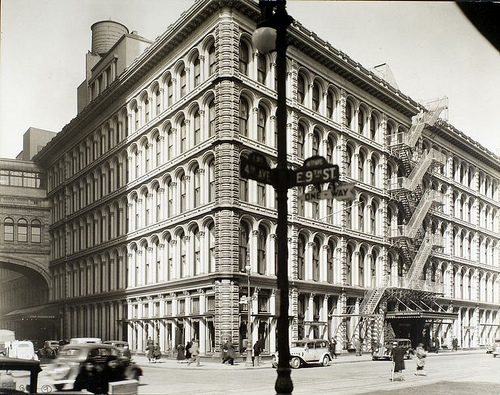 It was designed in 1898 by the same architects that did the Fifth Avenue Public Library, Carrère & Hastings. It is a classic and exuberant Beaux-Arts style building, and is the only remaining structure from the park’s original plan, and thus its status as Historic Landmark which was granted in 1982. In 1936 an Olympic size pool was added, built by the famed WPA of the Great Depression years, one of ten others built throughout New York City, which changed the way millions of New York residents spend their leisure time. The Hamilton Fish Pond pool was so well respected that the US Olympic Team practiced there in preparation for the 1952 Games in Helsinki. 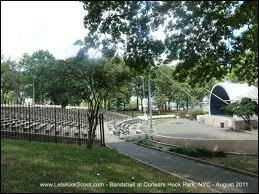 The 4.3 acre park was extensively renovated for $14 million and once again opened for business in 1992. The gymnasium was transformed into a community center with classrooms and meeting spaces, while the newly renovated pool gave a new life to one of New York’s favorite summer pastimes. New landscaping is distinctly modern, but was integrated with trees that have been in place since the early part of the 20th century. Established in 1894, Veniero’s Pasticceria and Caffé has been creating a reputation for over 100 years with its fabulous authentic Italian pastries, desserts and other incredible treats. Included among their most celebrated delicacies are New York Cheesecake, Italian Cheesecake and Sicilian Cheesecake, Black Forest, Tiramisu, Strawberry Shortcake, Chocolate Mousse, Carrot and Red Velvet, butter cookies, biscotti and our famous Almond Torte. The café is festooned with stamped cooper ceilings, authentic Italian marble floors, stained glass windows, and all the choices one would see in a similar café in Roma. If you can’t get over to the shop itself, which is located at 310 East 11th Street, where you can park in an indoor garage and get a validation worth $2 off of the garage fee when you purchase something at Veniero’s; then try ordering the same delicious tempting taste treats on-line. 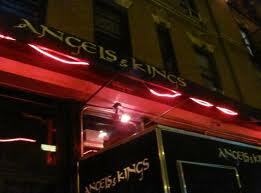 Located at 500 East 11th Street, just one block north of Tomkins Square Park is unique nightclub known as Angels and Kings. This special nightspot is part of a franchise with locations in Los Angeles, Chicago, and Barcelona. 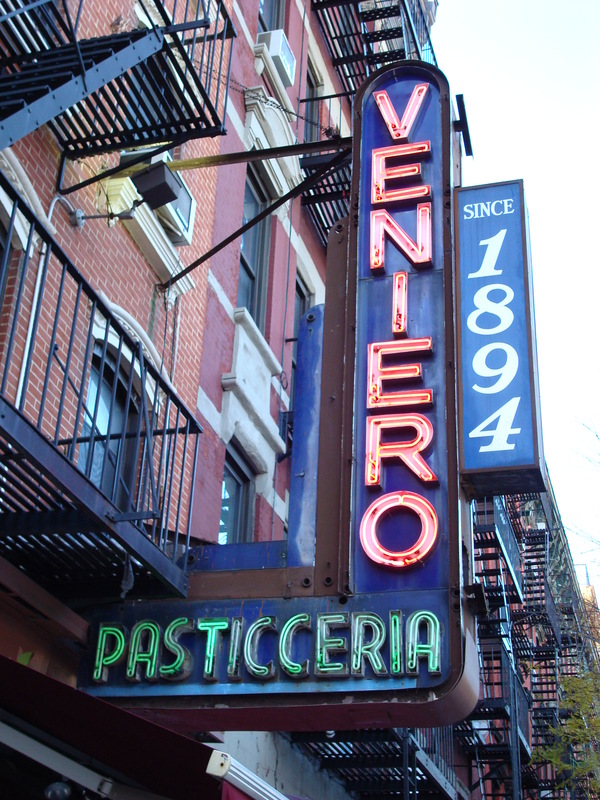 The New York branch was opened in 2007 by Pete Wentz, bassist for Fall Out Boy, and Jamisen Ernest, of the band Yellow Fever, and is co-owned by several other musicians. For more information call: 212-254-4090.